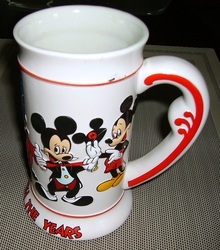 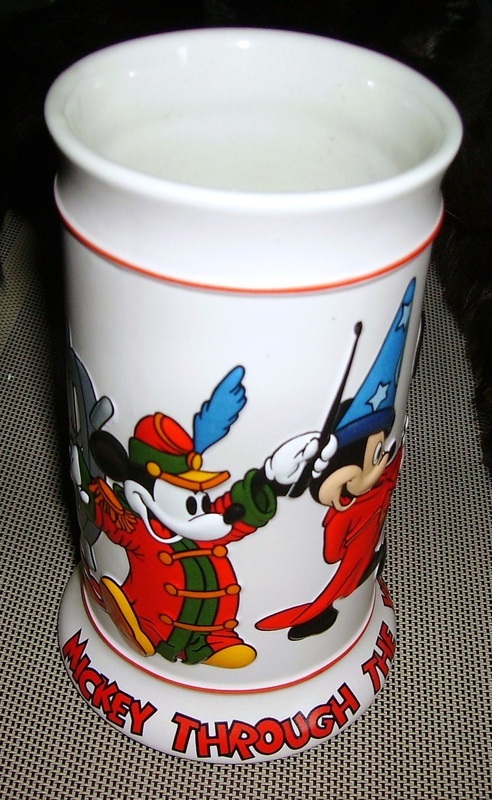 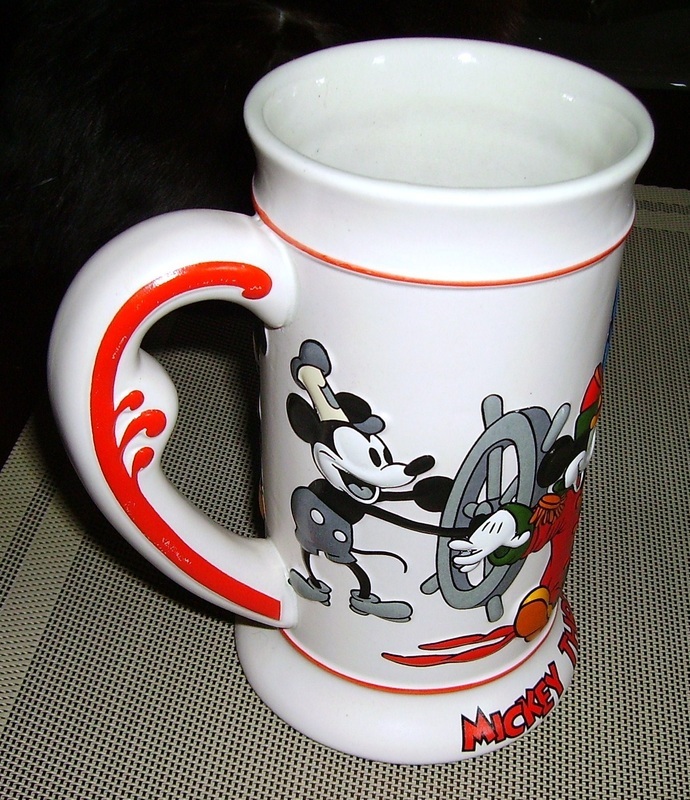 Walt Disney's MICKEY MOUSE Through the years large limited edition coffee MUG Steamboat Willie-1992 1st Official DISNEYANA convention Walt Disney World, year 1992, Ceramarte Seal made Brazil. 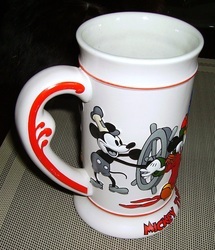 MUG size 6 1/2 inches tall by 4 inches wide. Kept in glass case NEVER USED or NEVER DISPLAYED 27 years old MINT 92 free SHIPPING!